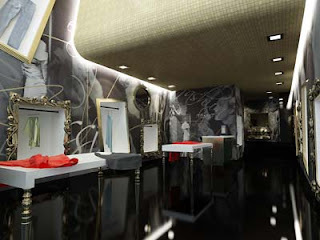 Frame is a fashion boutique designed by Katerina Kavazi from the K.Kavazi Interior Design Studio. 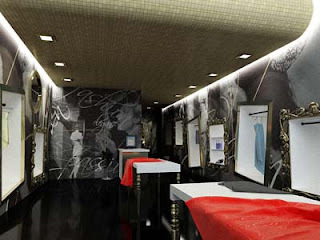 Almost all part of the wall is decorated with custom made wall cover and a unique merchandise display. The merchandise display is arranged into a frame box and the frame box is built in the wall of the shop. 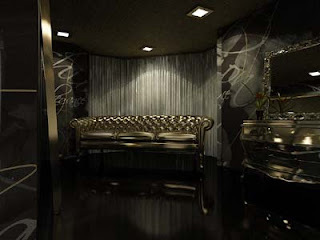 Beside the unique display this shop is also using gold color, the shade of black and and the shade of white as it’s main palette. 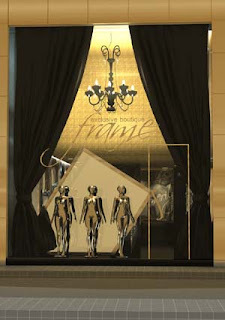 Frame shop design capture the fabulous world of fashion perfectly.